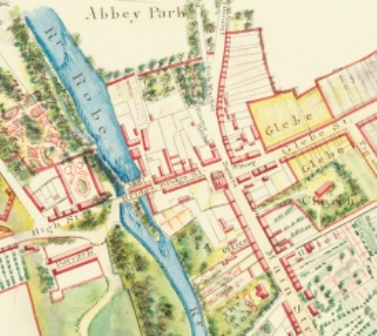 I am hoping to trace the ancestry of Peter Hughes of the hardware shop on Main Street, Ballinrobe to John Hughes and a sister of my Mylotte great-great-grandmother. John Hughes and the Mylotte sister whose forename is unknown - it was possibly Kate - are said to have been the great-grandparents of Peter Hughes who married Celia/Shelia Brown[e]. The father of Peter Hughes of the hardware shop may have been John Hughes, born in Cregduff in 1899. Sally/Sarah Mylotte was another sister of my Mylotte great-great-grandmother. She and Michael/Mickey Brown[e] are said to have been grandparents of Oliver Brown[e] and Celia/Shelia Brown[e] Hughes. At present, I am working on the assumption that Oliver's father was Patrick Brown[e]. If he was, he was presumably one of the older children of Mickey Brown[e]/Sally Mylotte, born before records began. If Oliver reads this and wonders who is asking the questions below, my mother was an O'Malley from Creevagh, The Neale, distantly related to him in the female line of descent: O'Malley - Biggins - Rochford - Mylotte. Does anybody know if Peter Hughes of the hardware shop is the Peter Hughes who died on 31 August 2007, the subject of an internet death notice? If Peter Hughes is dead, does anybody know how old he was when he died? Does anybody know the names of Peter Hughes's parents? Does anybody know if Celia/Shelia Brown[e] Hughes is still alive? If Peter Hughes of the hardware shop is still alive, I hope my enquiries do not cause him any distress. If he is dead, R.I.P. This page was added by Averil Staunton on 17/10/2012. I haven't looked at this site for some time so didn't see your question. My mother was a daughter of James O'Malley & Sarah Biggins. Since asking my questions, I now know the answers. Peter Hughes of the hardware shop did die on 31 Aug 2007, aged 78. A headstone in Ballinrobe New Cemetery shows that his wife had died on 12 Jan 1996. I have found out the names of his parents. It seems that he was my mother's 3rd cousin.